Whether you are looking for an obstacle activity day, wanting to develop some serious OCR skills or just want to get fit, this is where you can train and have fun whilst opening up your sense as you explore the wild trails and unique training facilities. Age 6+. Hub with hub lounge, outdoor seating, refreshments, changing rooms (showers/wc), Kitchen and office. Lounge suitable for small workshops/meetings. 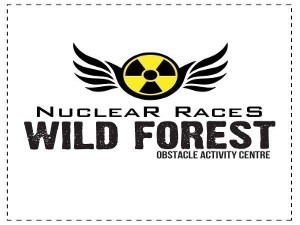 20 acre forest with 2.3km obstacle course with 54 race sized obstacles, ditches and jumps, unique outdoor fitness gym and running trails. Hosted at triple award winning Nucear Races, Brentwood Essex. Monday-Friday: By appointment, must pre book slot. Need induction - Adult £19.99, Kids £14.99. Access if from A128 Chipping Ongar to Brentwood Road at Kelvedon Hatch. Not at bunker.